“Leroy! Leroy! Leroy!” rings out around the ground as City’s German prodigy has run rings around three defending players before putting a perfect ball in for Raheem, his ‘partner-in-crime’, to put City ahead. Later on Sané himself would score, something he’s begun doing in big games, but the pure skill he used to beat three Monaco defenders is what I think of when someone mentions Leroy. He admittedly had a slow start to life in Manchester, yet since his goal against Arsenal, he’s gone from strength to strength: and that goal was only a few months ago. And I believe that he will quite probably go on to, as long as he keeps up this meteoric trajectory, to be one of City’s greats. This may be a little premature, but, well, Leroy can inspire confidence in us all. Born to Olympic bronze medallist Regina Weber and former Senegalese international Souleyman Sané, some commentators have implied success may be in Leroy’s blood. The first time I remember watching him was for Schalke against Real Madrid. The side from Gelsenkirchen emerged victorious at the Bernabéu, with Leroy scoring what was by all accounts a wonder goal and then providing an assist late on. After the transfer merry-go-round that started with Kevin De Bruyne coming to City, followed by Julian Draxler going from Schalke to Wolfsburg, Leroy stepped up, and this was the season he truly ‘broke through’, and the season which made City want to go out and spend the reported £42.5m on the German. Sané chose the number 19, the number he’d worn at Schalke, yet typically he made a false start: a hamstring ruling him out of the first few games of the season. 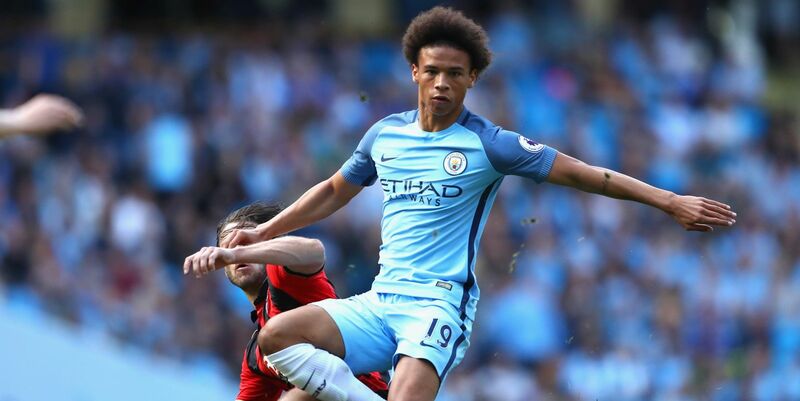 By that point City were on a high and it was hard to see Leroy breaking through, but he began to make some substitute appearances. The first league game he played the full 90’ for was the 2-2 draw with Spurs in which he scored the opening goal, even if it was in rather fortuitous circumstances. Yet, at the time of writing Leroy hasn’t missed a minute of league or European football since. It is important however not to just ignore his pre-Arsenal goal time here – he was very good in particular against Chelsea and came off with the scores level at 1-1, a game in which Leroy performed a trademark dancing run from the left, only to be stopped by the last defender. But of course it is after his goal against Arsenal that we have seen the *true* Leroy, a neu Leroy if you will. The goal itself was more to do with a glorious David Silva pass, and the horrendous formation of Arsenal’s backline, yet the off the ball turn and neat finish into the bottom corner was by no means an easy feat. After that, he looked energised and posed a big threat to the Arsenal defenders, coming off to a standing ovation from the City fans. Naturally, he missed the next few games due to injury, but returned in better form, contributing goals against Spurs, Palace and now Monaco in that time. For some players, numbers seem to be everything. There are players in the world who’d simply love to take that 89th minute penalty for their 5th goal of the game when one of their teammates has scored 2. This is not necessarily a bad thing, some people get upset when you remind them Sergio is statistically the most lethal striker the Premier League has ever seen. But Leroy’s game is more than just aiming for say, 8 goals and 5 assists in the season. Leroy has something not many others in the Premier League have, this being pace combined with genuine… ‘mad skills’. This is something perhaps City have been devoid of for some time – we’ve had skill, like Samir Nasri, and pure pace, like Jesus Navas, yet the combination of both is something else. His is a gift that can’t be quantified. Some people gawp at La Liga, for every weekend Neymar or Ronaldo will embarrass an opponent by performing some fancy trick, and admittedly, it’s not useful at all sometimes, but when it comes off, it’s breathtaking. Nothing in football has the same effect. When Leroy somehow danced through Sam Byram and then past Jose Fonte for his assist for David Silva’s opener against West Ham, I stopped and contemplated what had just happened. After the Bournemouth game, though his cross to Raheem has not been officially given as his assist, he had Gary Neville fawning over him in the post-match punditry, Neville believing that Leroy would mature into ‘some player’, arguing that for most full backs, stopping this powerful, quick and intelligent winger would prove impossible. The best of all was the dancing run against Monaco. After picking up the ball on the left, Leroy somehow dances through two tackles whilst appearing not to change the movement of the ball too much, cuts inside past a third, then leaves the ball with Silva, who plays a great pass through back to Leroy, then taking it into his stride and laying on a perfect ball for Sterling. Imagine Jesus Navas, or in fact, any other City player doing that? We have some wonderfully talented players, ones who have scarily good vision, ones who can finish, ones who, like Kevin De Bruyne, can do just about anything, but I can’t imagine any of our other players doing what Leroy did, and Leroy probably thought so too, given that he celebrated harder than anyone for our opening goal. Another facet of his play is the relationship he is being able to develop with Raheem Sterling. Off the pitch they’re seemingly best friends, yet their potency on each wing is becoming a real key part of our play, I can’t remember the last time we had two very able wingers at the same time. Their ability means that neither of the defending full backs can afford to switch off for a second, and given their ages, we can only dream of their futures at City. Surely this will only be enhanced by the ultra-mobile Gabriel Jesus, however one can’t simply dismiss Sergio from this conversation. The Monaco game proved a great deal about Sergio and I feel that he’ll stay for a while longer yet. Furthermore, Sané’s on the pitch relationship with David Silva is particularly interesting, with the latter often drifting out towards Sané to help in 2 defenders 1 Leroy situations (though sometimes he doesn’t need it), as we saw in the build up to Gabriel Jesus’ first half goal against Swansea. It’s expected City will buy a new set of young full backs this summer, so perhaps Pep will be looking for a quick, attack-minded full back to complement Leroy for next season. All in all, Leroy Sané is a new kind of player for Manchester City. Fans have rightly criticised the clubs’ recent big money transfers, yet the acquisitions of Leroy Sané, Raheem Sterling, Kevin De Bruyne and Gabriel Jesus surely see our attacking line up secured for the next 7 to 8 years, even more so in the case of Leroy, Gabby and Raheem. His… ‘mad skills’, youth and his raw ability have set him up to be a fan favourite for many years to come. Perhaps we need a better song than; “Leroy, Leroy, Leroy!”, but it’ll do for now. 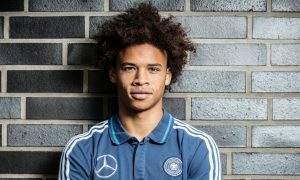 Leroy Sané, our Wunderknabe.